Okay, I saw the landscape and i knew I wanted to make a wallpaper out of it, however it need a lot of recging which took awhile to got of that noise and texture out of the scan. 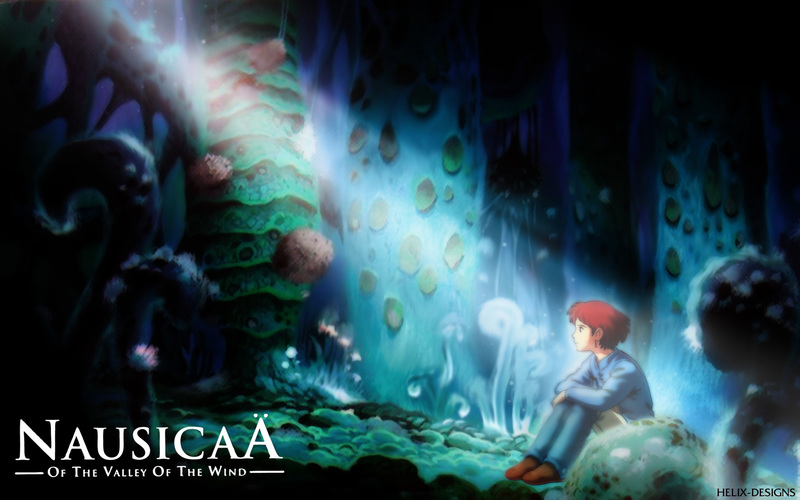 I tried making the whole scene really soft (almost paint like) by using the smudge tool, and have a nice light (comprised of different gradients and such) focused on nausicaa for a dramatic effect. The text was extracted from the Disney DVD cover of the movie, cleaned, then used in this wallpaper. This is dedicated to my sweetie, cause i miss her... and she likes nausicaa. Thanks a bunch; I love this wall. it's so beautiful I love... Ghibli art it's the best! The atmosphere is so nice. ^_^thnx4 shrng.